Here it is! 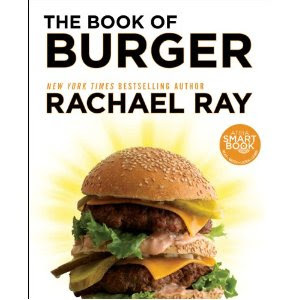 Rachael Ray's newest cookbook, The Book of Burger, will be released on June 5. The book is described as an ultimate collection, with more than 200 recipes for burgers, sliders, sloppies, fries, and sides. The images and layout of the book look gorgeous and it's only $12.98 on Amazon if you preorder. Interestingly, the book also includes essays on burger related topics from Pat LaFreida, Adam Perry Lang, Josh Ozersky, and Michael Symon. This cookbook is Rachael's first "Smart Book." That means it a reader can tap a sticker on the book with a smart phone to get interactive content. You can read more about that here. The timing couldn't be more perfect with Summer just around the corner.